Can Personal Representatives or Administrators Enlist the Assistance of an Attorney? Yes. Both personal representatives and administrators can retain legal counsel to assist them. Importantly, they can retain an attorney to consult with on specific matters or hand the entire process over to a lawyer in total. If you’ve found yourself as the executor or administrator of an estate and feel overwhelmed with your responsibilities, there is good news: Missouri law authorizes you to retain an attorney to help you at the expense of the estate. Yes. You can avoid probate by providing alternative means of transfer for your assets. Some of these include placing your assets into a living trust and naming beneficiaries, using beneficiary deeds for the ownership of real or personal property, joint ownership of property with the right of survivorship, and naming beneficiaries on bank and retirement accounts. Importantly, even if you intend to transfer your entire estate outside of probate, you should still have a will just in case you forget to account for certain assets. 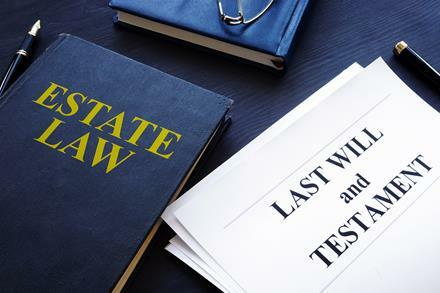 If a person passes away without a will and has not made other arrangements for the disposition of or her assets, Missouri’s intestate succession laws will apply. These laws distribute a decedent’s assets among his or her heirs in a way that is loosely proportionate to their degree of relation to the decedent, with a strong preference to a surviving spouse. Distribution according to the laws of intestate succession is often extremely complicated and time-consuming, and it also has the potential to result in disputes between family members. For this reason, it’s advisable to avoid it whenever possible. If you are involved in probate or are interested in creating a comprehensive estate plan, you should speak to an attorney as soon as you can. 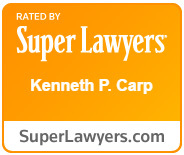 St. Louis & St. Charles estate planning attorney Kenneth P. Carp has been practicing law for more than 25 years and is available for free, no-obligation consultations. To schedule an appointment with Mr. Carp, call our office today at (636) 947-3600 or send us an email through our online contact form.